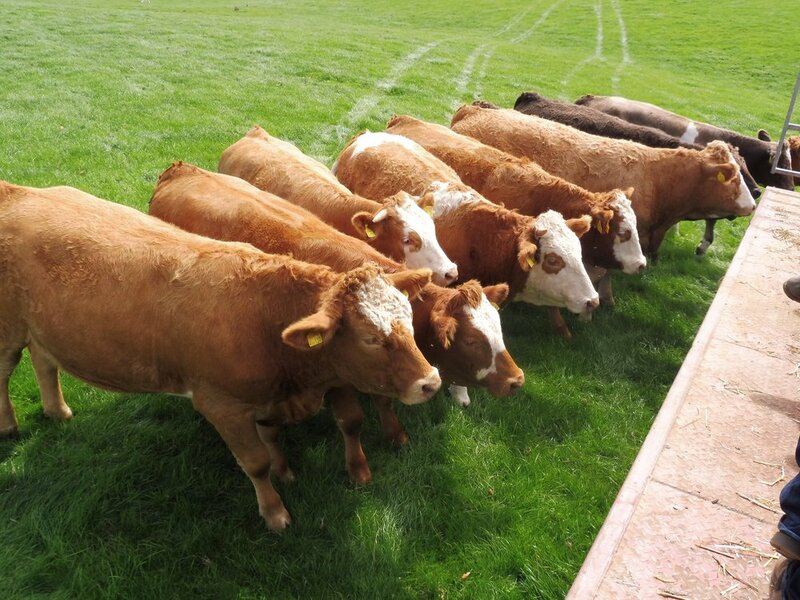 Beef cattle breeders from St Buryan to Bude attended the seventh commercial open day organised by Cornwall Simmental Club on Sunday 9th September. Warmly welcomed by Phil and Lesley Martyn Uglow at Hornacott Farm, Boyton, Launceston the event was sponsored by the British Simmental Society. He concluded by urging breeders to consider the size of the cattle they are aiming for as bigger is not better for the cuts of meat his customers prefer. The visit continued in wonderful sunshine as ninety suckler cows and their progeny were viewed. 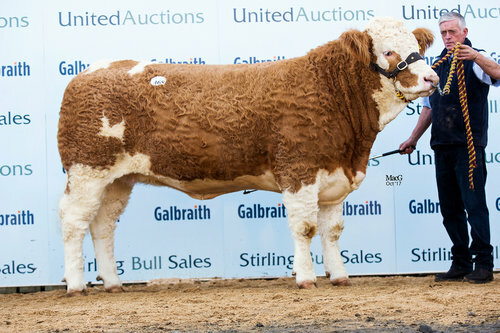 Phil Martyn Uglow explained the successful changes in breeding policy the family had made by crossing both Simmental and Charolais sires on a range of native breeds and putting the retained breeding females back to a Simmental bull. A group of Simmental cross heifers due to calve at twenty two to twenty four months old typified the stamp of cattle desired. 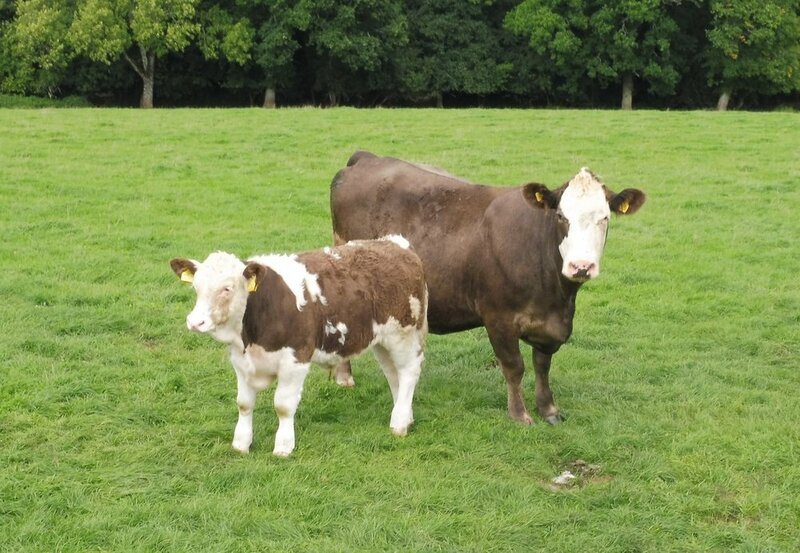 Mothering ability coupled with the renowned docility and fertility of the Simmental breed have justified the decisions made. Robust suckled calves due to be weaned will fulfil the desired specifications outlined by the guest speaker.